I saw on your FB page that this was the anniversary of Zeuz's loss. Love the pictures--and as you say, the memories never dim, but only grow more joyous. I WILL give our Lyla extra love and kisses in honor of your GORGEOUS Zeus! I am so sorry for your loss - truly. We lost two dogs within a 6 month timeframe. It is so hard to say the least. Will give Mr. N some extra attention tonight! Zeus looks very sweet. We're sending lots of purrs your way today. Zeus was a handsome boy. Mr Zeus, we're all having a special cookie for you today. We miss you, buddy. Losing a heart dog is always so hard; we decided to only celebrate Jasmine's birthdays, though, not anniversaries of her passing. Zeus sounds like he was a special boy indeed! A handsome one too! 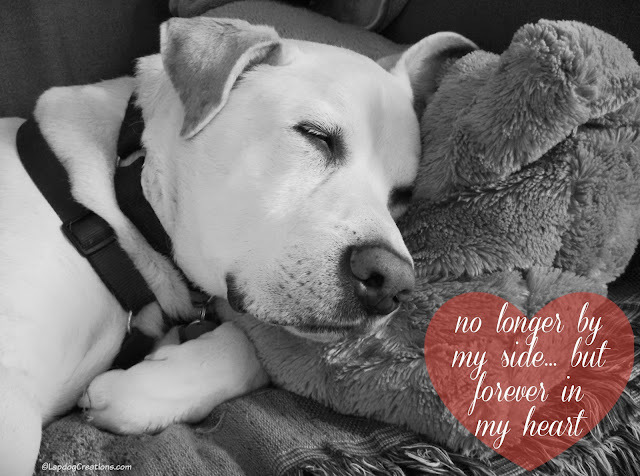 It's never easy when we lose a beloved fur baby, and they stay with us forever. Sending love and hugs to you! I know it is so hard to lose a loved one, and I'm glad that you have so many happy memories of Zeus. He was a lucky dog to have known such love and devotion in his life. A special boy indeed, and they leave the biggest hole in your heart. In honor of Zeus, I will be showering tons of extra kisses on the crew! Sending lots of love your way as you remember your big lap dog! Giving the Goldens some extra loving tonight! I can't believe it's been 2 years, thinking of your guys! It is never long enough, the time we have with our dogs. It is wonderful to keep the memories and love alive as you are here. I can't even think of how much this must hurt. Extra love all around tonight! It's easy to see how much he loved life. I lost my Jessie a couple of years ago, too. Although I have the Poodle Pair now, I still miss Jess every day. 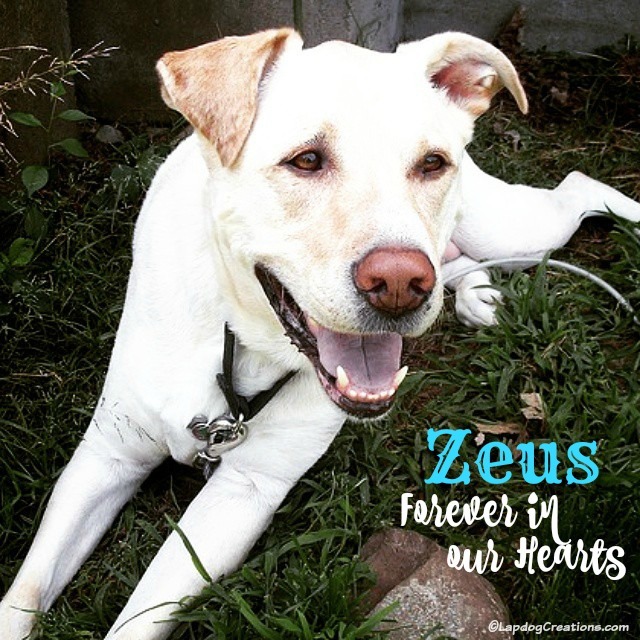 As you said, Zeus is forever in your heart, and I am sure he still has the power to make you smile every time you think of him! These type of anniversaries can be tough. It will be six years this month since I lost my heart kitty, Praline. I try to remember her with fondness and try to forget the sad moments. So sorry for your loss. That's a great way to honour and remember him and his love of life - I gave Kilo the Pug even more kisses and cuddles than usual. Zeus reminds me of my Cookie who we shared almost 14 wonderful years with. I'm so sorry for your loss. I know firsthand that labs are just the sweetest, dopiest, most loving dogs around. I lost my black lab, Sally Roberta, over a decade ago and I still miss her. She was happy about EVERYTHING and could always make me smile. I know your memories are warm and loving ones. And that will dull your sorrow over time.